Click the image above to see a slideshow. John Hoyt’s artworks have been sold and shipped to over 100 different countries on the planet earth! 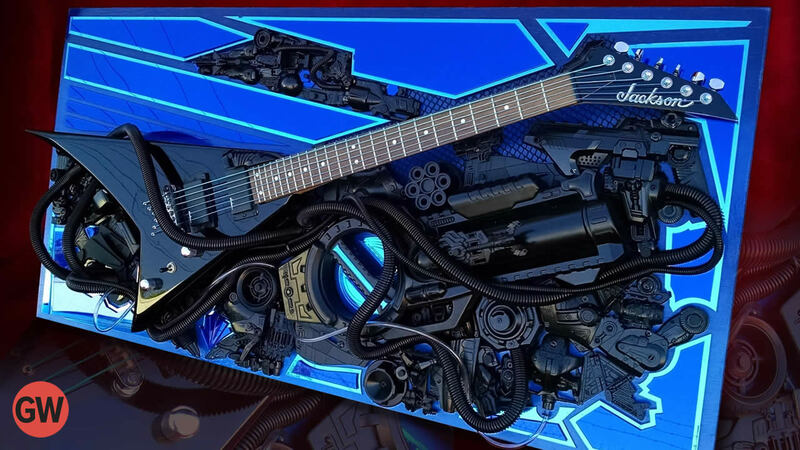 His mastery of 3D art is unmatched and truly unique. 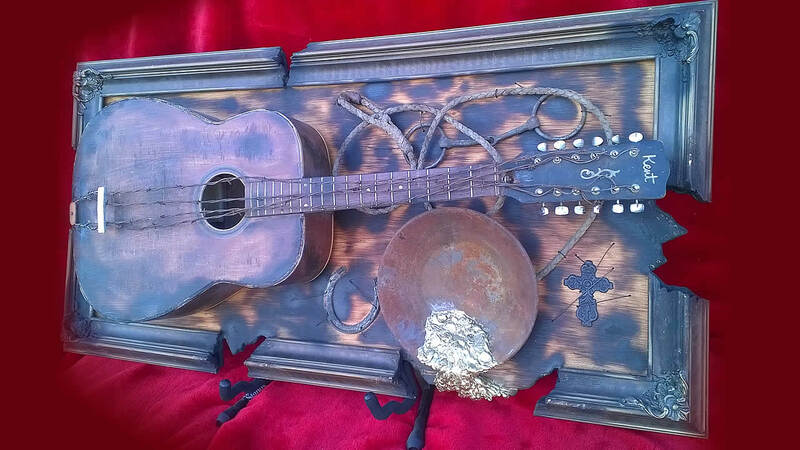 His guitar art extends his talent to this genre in a way that turns heads. 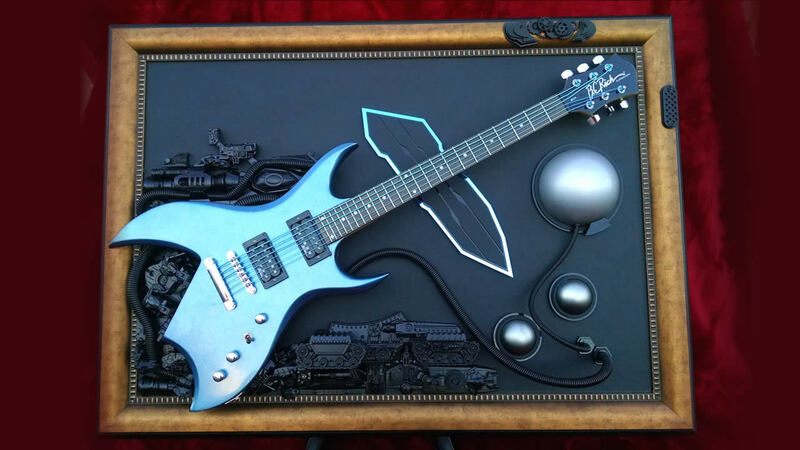 In most cases the guitars are permanently mounted to the artwork. 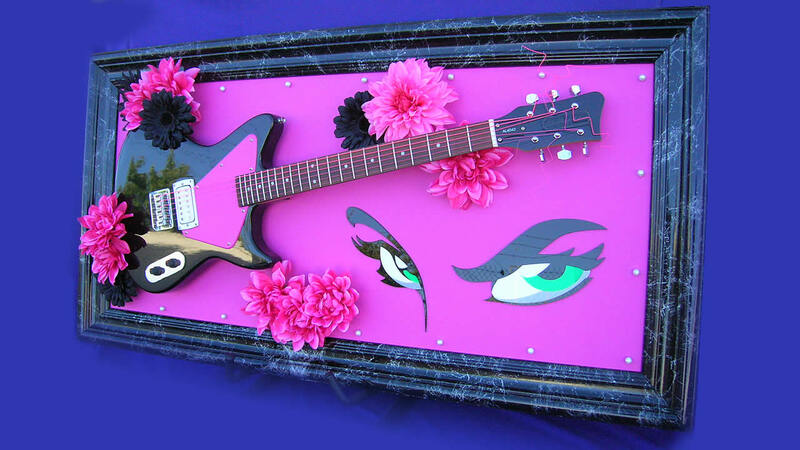 At request, a guitar art piece can be fabricated as a “docking station” for your prized guitar and easily removeable for playing. For more information, visit JohnHoytArt.com.